10th-Keeneland, $78,580, Msw, 4-12, 3yo, f, 6f, 1:11.77, my. PALOMITA (f, 3, Into Mischief–Palomanegra, by Grand Slam) broke alertly, cleared her inside competitors and never gave anyone a chance in the stretch to score a romping graduation in the Keeneland nightcap Friday. Bet down to 9-10 debuting Feb. 2 at Gulfstream, the bay was a distant second behind ‘TDN Rising Star’ Violencia (Violence) and showed six interim drills, capped by a half-mile move in :48 4/5 (34/109) here Apr. 6. Taking the bulk of the play once again to be 8-5, the $375,000 Fasig-Tipton Gulfstream buy beat the blocks and went on with it easily through a sharp :21.90 quarter. Cruising around the turn under a hot-handed Javier Castellano, she gave her rivals the slip past midstretch and rolled home four lengths to the good. Violent Lady (Violence) was second-best, while Doll Collection (Tapit), the second foal out of dual champion Groupie Doll (Bowman’s Band) won a three-horse photo for the show. The winner’s has a juvenile full-brother and her dam, a half to MGSW/GISP Falling Sky (Lion Heart), was bred to Kitten’s Joy last season. Sales History: $75,000 RNA Wlg ’16 KEENOV; $175,000 Ylg ’17 KEESEP; $375,000 2yo ’18 FTFMAR. Lifetime Record: 2-1-1-0, $56,000. 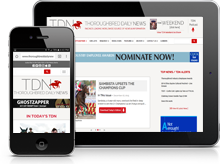 Click for the Equibase.com chart or VIDEO, sponsored by Fasig-Tipton. 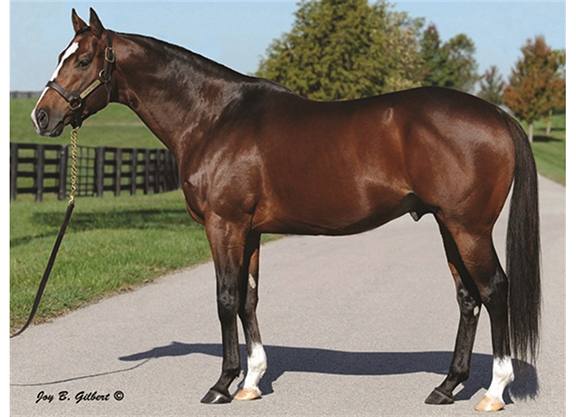 O-e Five Racing Thoroughbreds; B-Kendall E. Hansen, M.D. Racing, LLC (KY); T-Chad C. Brown.